A few months ago a customer in my shop mentioned that she needed to replace a bangle, the way she said it sounded like she had lost it so I helped her to pick out a new one. Then, she told me that the silver had turned black as (if my memory serves me right!) she had worn it in a hot tub. I then said told her that her jewellery was not ruined and that this was absolutely normal – and easy to fix! Off she went to polish her jewellery and I thought I should write down how to clean your jewellery..
All silver will tarnish, except pure 100% silver. 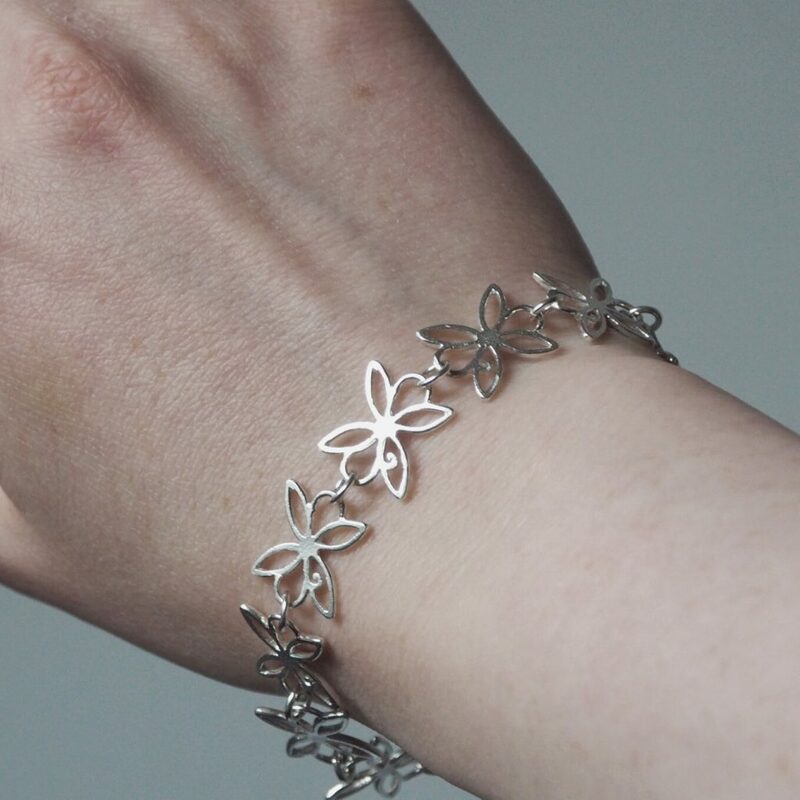 The most used silver, which is what I use, is 925 Sterling silver. This means that 92.5% silver, and 7.5% other material – usually copper, this other alloy is the cause of the tarnishing. So if you Sterling silver piece of jewellery goes a little black, don’t worry! It is not bad quality silver and it can be easily fixed, as you will see below. Why does this happen and how can I avoid it? Living by the rule “First off, last on” is a good one. Take your jewellery off before changing and getting into bed. And put any lotions and potions on your skin (including perfume) before you put on your chosen piece of jewellery. Now, I will not pretend that I am immune to these mistakes… My hands have been really dry so I have been using savlon – turns out that will turn the skin around your gold rings black !! Another can be humidity or the environment you live in. And sometimes even the type of natural oils on your skin, that everyone has, can react with the silver. And try to keep your jewellery in a jewellery box, or the little box/bag it came in. 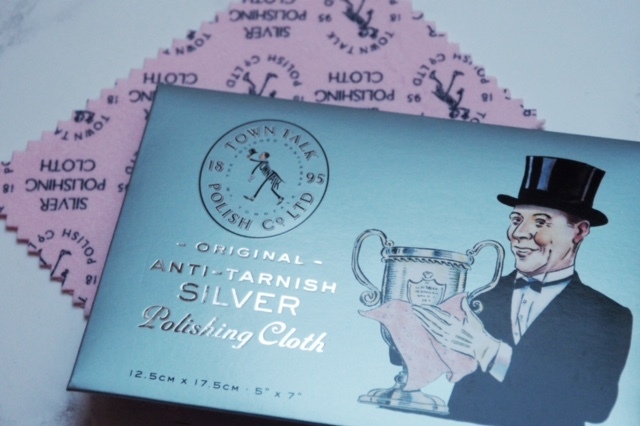 Polishing Cloth: Get one of these! They are amazing and will last forever so you just need one for all of your jewellery, for years to come! The key is to NOT wash them, they start to look a little grimy but that actually helps it to polish your jewellery better. I try to clear out my jewellery box every few weeks and do a quick polish. There is also a special one for gold piecesYou can get them in my shop for £2 or simply get in touch and I will send it to you free post. 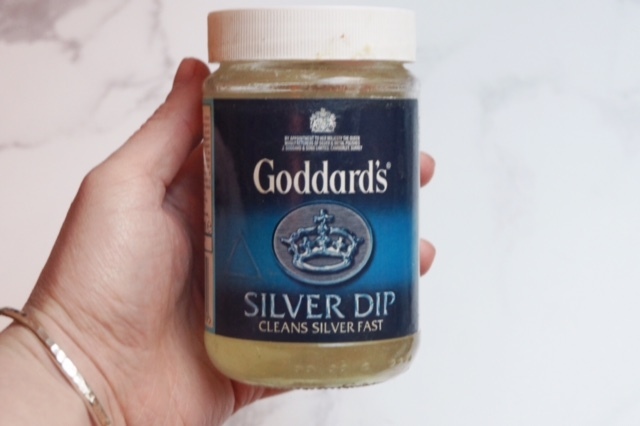 Silver dip: A great option for rings, earrings and anything that doesn’t have gemstones is this silver dip. I just googled silver dip a few years ago and bought this. It’s fab and leaves things so sparkly! There are loads out on the market so have a look at what takes your fancy. Send them my way! Sometimes your much loved jewellery needs some extra TLC, I can easily get wee scratches out and have them looking as good as new. In the mean time, take some time out to give your silver a little polish here and there to keep them looking great for years to come. Hope this helps! If you need any other tips just let me know..